You are a humble fisherman in medieval Japan, where everyone is always hungry for all kinds of seafood. The sea is generous in offering a wide variety in fish, however you are not the only one to take advantage of it and you have to cope with a keen competition. Since other fishermen also cast their nets, the fish market is quite selective concerning the fish they are going to buy and their price. For this reason, you must make sure that you own sails and nets of the best quality in order to beat your competitors. What is more, you might have to bribe a collaborator to gain insight into what the market is looking for. Isaribi is a game that takes deep strategy and balancing your budget is a key factor to your success as a fisherman in this challenging fishing market. You achieve your goal by setting sail and catching various types of sea life. After you have taken in a good haul, you must sell your catch at the market, where the fish hawkers are constantly demanding different types of seafood. Use the right strategy, as well as your cunning skills and the right timing to out-fish your opponents and win the game! 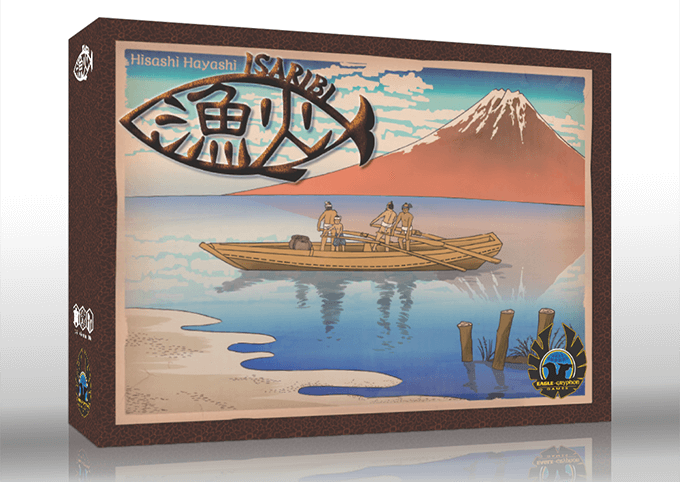 Isaribi is coming out by Eagle-Gryphon Games and it has been designed by Hisashi Hayashi, also known for Yokohama. It has been launched on Kickstarter and there are many days to go until the campaign is over. Will You Rise to Nobility?